Hello…and before I get started I want to say that I am SO glad you are here. I am always excited when I can offer you something that is helpful…something that might make life easier or just put a smile on your face. 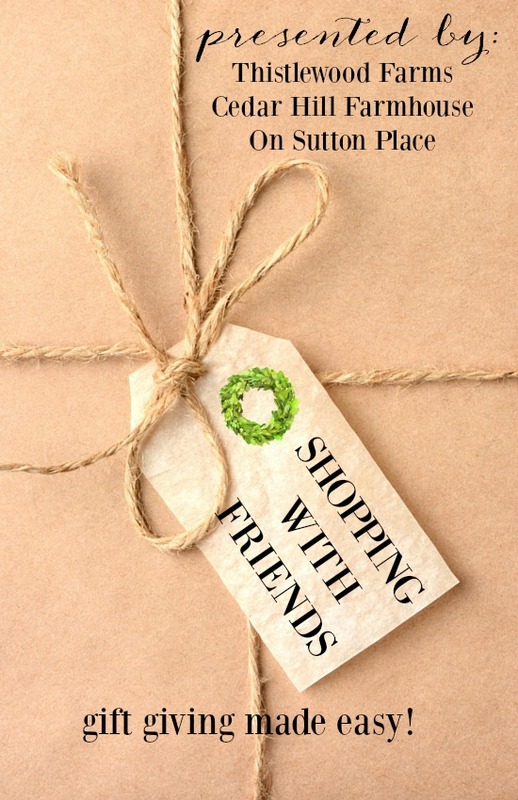 Today is your lucky day because I am going to help you with your Christmas shopping! 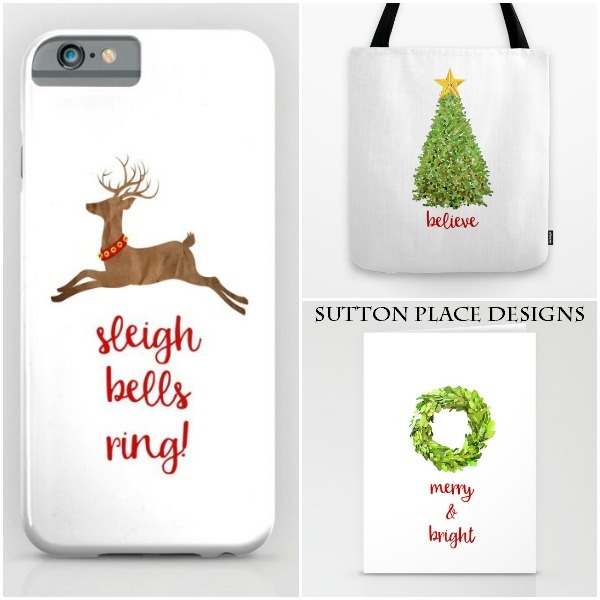 Take a look at the Sutton Place Designs Christmas Collection on Society6. Even though I did not sew these by hand, each one was designed with love and care. I made all the graphics on my own…except I needed help putting the collar of bells on the reindeer. (Thank you Tracey Gurley!) I kept the backgrounds white but plan to experiment with colored backgrounds after the new year. Along with the pillow covers, you can purchase tote bags, iPhone cases and note cards. I think the tote bags are very cute and would make great gift bags. Also for sale are Art Prints and Art Canvases. Click to shop the Christmas designs at Society6! Now…nothing is nicer than shopping with friends. Karianne from Thistlewood Farms has a new line of candles (how does Lavender Evergreen sound?) 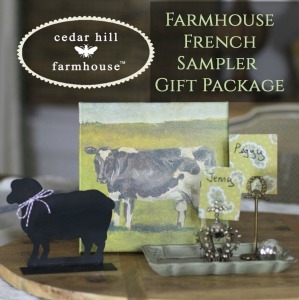 and Anita from Cedar Hill Farmhouse has all things French Country in her shop. 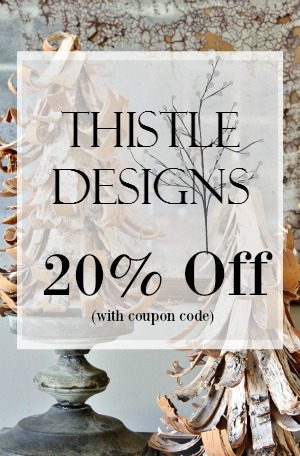 They are both offering coupon codes so make sure to pay them both a visit. 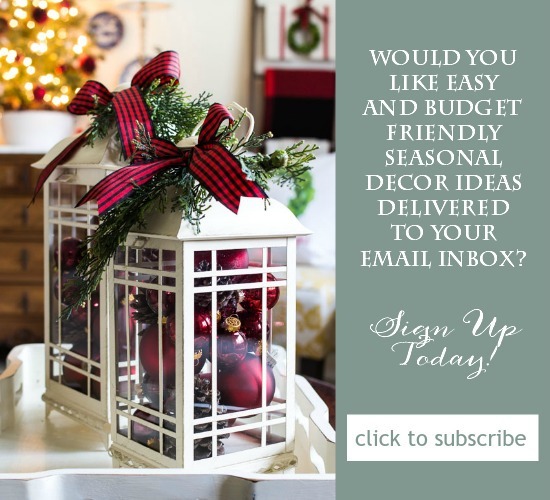 These are really lovely and I just ordered the boxwood wreath and the red coffee pot 20X20 inch pillows. One question: the non-boxwood wreath (maybe rosemary?) that appears in the panel of prints above doesn’t seem to show up on the Society6 page, but the boxwood wreath appears twice, once as “Christmas wreath” and once as “Boxwood wreath”. I would have liked to get that one, also. Is it no longer available? Thanks for the discount and I can’t wait to have these on my sofa during Christmas! I love the designs, Ann! Wonderful as always. Great gifts! I’ve ordered 4 for four lucky and dear friends. You have done it big! Thank you for the free prints. They are really cute. Is there a code for the $5 off…..or are the prices shown already discounted???? Lovely holiday designs. I love the smell of anything that scents the room of something being baked! We are producing the tags as fast as we can! They do take a good amount of time. I gave all the dates (cut-offs, ship, etc.) in my blog post and in the shop listings. We will begin shipping tags in the order they were received on Monday November 16th. Thank you! You did, in fact, put a smile on my face this morning, as promised! :) I love the clean, crisp look of these new designs. Especially like the off-set ’tis the season’ one. Just a bit different. Many thanks for making my Christmas decorating/gift shopping a bit easier and much more fun! Hi Nanci! I will check on Karianne’s link. My guess is that she hasn’t published her post yet. Which pillow covers are your favorites? I can try an ivory background for you. I’m happy to do it! Ann, the link for Thistlewood Farms doesn’t work right. Your new designs are cute. Would like to see them on a natural background too.